EscapeMaker.com is offering the first ever calendar to feature the animals you'll meet when visiting the farmers and producers of GrowNYC’s Greenmarket – from ponies to honey bees to alpacas. 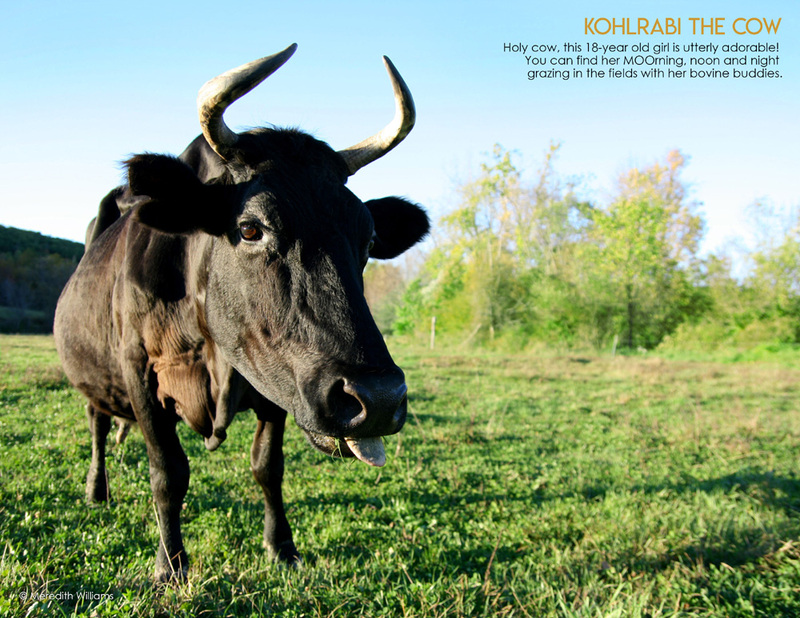 18 year-old sweetheart “Kohlrabi the Cow” of Hawthorne Valley Farm in the Hudson Valley and tractor climbing expert “Daisy the Goat” of Garden of Eve Farm in Long Island made the editorial cut as either features or honorable mentions in EscapeMaker's upcoming agritourism calendar, joining other model-ready agritourism ambassadors vying for their close-ups. 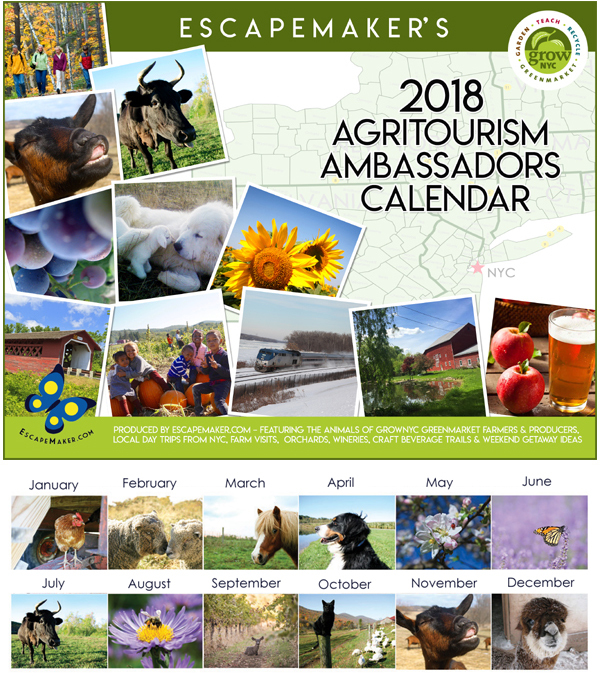 EscapeMaker.com, which launched in 2000, designed the Agritourism Ambassadors calendar to inspire local travel: farm visits, day trips to pick-your-own orchards, and weekend getaway destinations within a few hours of New York City either by car by train. 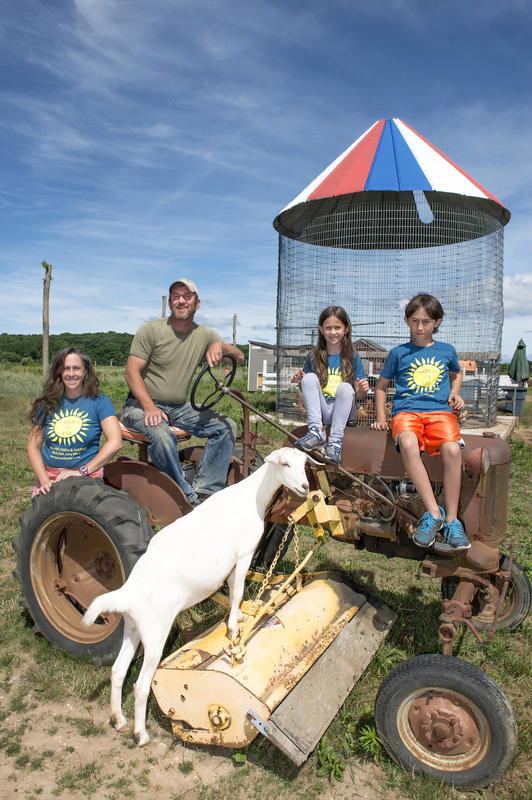 After completing their first season of operating guided agritourism tours to the Hudson Valley, the EscapeMaker staff became acquainted with a few of the animals featured and devised a way to launch them into rock-star status. “We get lots of requests for ideas on local family vacations, group day trips and romantic weekend getaways centered around local food and beverages, farms and animals,” says Caylin Sanders, EscapeMaker’s Founder & President. “And depending on the month, one can take a cheese-making class, go wine tasting, tap syrup from a maple tree, shop a farm store, pick apples and berries, or tour a cidery or distillery. There’s a ton of options just a short distance away from the city.” The calendar also lists annual festivals, a pick-your-own growing calendar and suggests greener travel options like Amtrak and Metro-North, or car-sharing organizations like the new service ReachNow, for those without a car. “People really want to form relationships with the individuals who make the food they eat, and they want to know how it gets on their table. This is a great way to inspire those who regularly shop in our Greenmarkets to travel to local destinations to learn for themselves, have some fun and meet these model ambassadors,” says Michael Hurwitz, Greenmarket’s Director. By purchasing this calendar, shoppers are supporting GrowNYC programs and initiatives. 60% of calendar proceeds go directly to Greenmarket farmers and growers themselves, with 10% going to GrowNYC’s Grow to Learn program, a citywide school garden initiative, and Project Farm House, GrowNYC’s state-of-the-art sustainability center and event space. The animal agritourism ambassadors featured hail from Greenmarket farmers and producers destinations including: Bad Seed Cider and Wilklow Orchards, Castello di Borghese Winery, Consider Bardwell Farm, Fishkill, Farm, Garden of Eve Farm, Hawthorne Valley Farm, Katchkie Farm & The Sylvia Center, Lavender by the Bay, Nature’s Way Farm, Rosehaven Alpacas, Roxbury, Mountain Maple, Samascott Orchards and Shannon Brook Farm. The 2018 limited edition $20 calendar will be on sale online at http://www.escapemaker.com/calendar and for sale at the Union Square Greenmarket merchandise tent through the holidays or until inventory is sold out. It is EscapeMaker.com’s mission to provide New York area residents with the education and tools necessary to break free from New York City and explore the countless farmers, producers and local agritourism destinations located within a day’s drive or train ride from New York City.